In Kaleigh Baker’s Spanish class at Butler High School, active lessons help keep her students engaged. 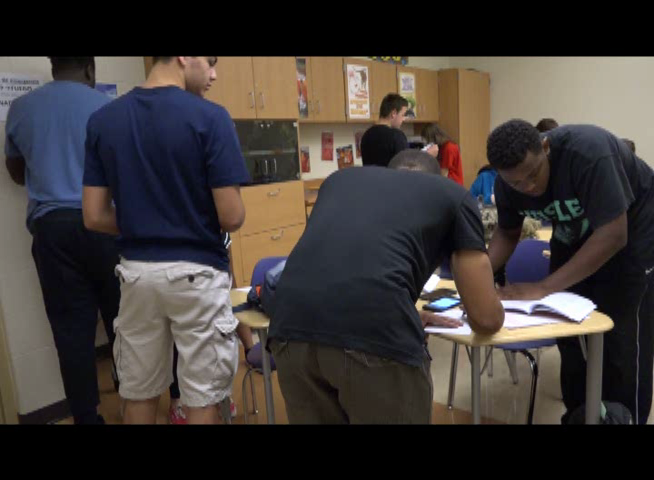 Recently, students had the chance to take a scavenger hunt of sorts around the classroom with their phones. Students looked for QR (Quick Response) codes. Once they found them, they scanned them and then were given a question to answer, using vocabulary they were studying.